Quentin P. Smith (1918-2013) attended Indiana State University, earning a bachelor&apos;s degree in social studies education and returned to Northwest Indiana, taking a teaching position at Gary Roosevelt School. At the outbreak of World War II, he joined the Army and was assigned to the 477th Bomber Group, part of an experimental program at the Tuskegee Institute in Alabama to train African-American pilots. They would later become famous as the Tuskegee Airmen. At the close of World War II, Lieutenant Quentin Smith and other Tuskegee Airmen officers were arrested and court-martialed for entering an officers&apos; club which was off-limits to African-Americans. Lt. Smith, along with 30 fellow officers, chose imprisonment rather than honorable discharge, seeing the latter as submitting to the segregation in the military. In their view, segregation, in any form and anywhere, was unacceptable. Thurgood Marshall, who would later become the first African-American Justice of the U.S. Supreme Court, filed a petition with the Supreme Court to free the imprisoned Tuskegee Airmen. President Harry S. Truman ordered all of the Airmen freed and honorably discharged. The bravery of the Tuskegee Airmen, both in battle and in their personal struggles against segregation, changed America forever and served as a major factor in President Truman&apos;s order to integrate the U. S. Military Services in 1948. After the war, Mr. Smith returned to Gary, where he began a career spanning nearly 50 years as an educator and a very active community member. He became the first principal of West Side High School, advancing to the post of Executive Director of Secondary Education in the Gary Community School Corporation. He was also instrumental in the creation of the Emerson School for the Visual and Performing Arts. Mr. Smith was active in the local community, including service on the Gary City Council, as chair of the Calumet College Board of Trustees, as president of the Gary/Chicago International Airport Authority Board, and as a founding member and secretary of the Aquatorium Society, where he worked to create a Tuskegee Airmen Museum as part of that landmark structure in Marquette Park. 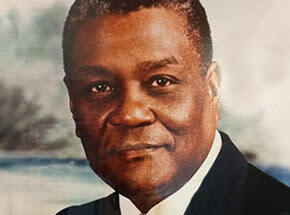 He also served as a member of numerous local military, religious and civic organizations. As Gary Mayor Karen Freeman-Wilson noted, "In war and peace, Quentin P. Smith was a hero; he bravely defended our nation, stood up against segregation and throughout his stellar career he unselfishly served in the community as a civic leader, educator and mentor." He is truly a legend of Northwest Indiana and America. He did not become a lucky man nor a man in a position of great power, but he was a man who influenced all he knew directly and all he didn&apos;t know through his actions and his life. Note: Quentin P. Smith was nominated by Gregory S. Reising. The contributions of Dean White (1923-2016) to Northwest Indiana and Indiana are significant, and it is believed his legacy will live on for generations. Clearly his commitment to the quality of life of Northwest Indiana is remarkable. Even though he became one of America&apos;s richest men, he continued to call Northwest Indiana home. His philanthropy was often quiet and always generous. His generosity made it possible to restore and maintain the iconic old Lake County Court House, and was actively assisting in the development of the 95-acre sportsplex facilities in Crown Point, kick-starting the breathtaking South Lake YMCA project, rescuing the Merrillville Veterans Memorial Project, and creating the innovative Center for Hospitality and Tourism Management at Purdue Northwest. He also had the vision to donate the land the South Shore Convention and Visitors Authority sits upon, as well as making many other grants and donations for worthy causes. Mr. White began his career as a teenager selling ads for his father&apos;s small advertising business, which was founded in 1935 in Lincoln, Nebraska. The business relocated to Shelby, Indiana in 1950 and, as it grew, moved to Merrillville in the early 1970s. Originally Mr. White focused on billboards and eventually his company would become one of the nation&apos;s largest outdoor advertising companies. He was always alert to additional opportunities. One came from the billboards and signage he was doing for a new hospitality firm, Holiday Inn. He saw an opportunity to become a franchisee and in the 1970s he opened the Holiday Inn (later the Radisson) in Merrillville. Then at the undeveloped intersection of U.S. 30 and I-65, he saw another opportunity. To help make it a destination, he built the Star Plaza Theatre, a large venue that over the years consistently hosted big-name entertainment. At first, many critics thought it folly to build such a large theatre so far from downtown Chicago. As was often the case, his vision was better than the experts. He further saw opportunity in Cedar Lake, a community long overlooked. He and his partners built classy condominiums there along with an upscale restaurant. Over the years, Mr. White has been involved in developing thousands of residential units in various parts of the country. 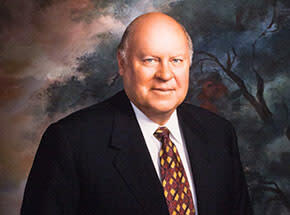 In the long final phase of his career, Dean White became known for hotel construction, owner and management. His hotels define the skyline in many cities, including Indianapolis and his company became the largest franchisee of Marriott Hotels. It all began with long hours, often working from the back of a pickup truck. Mr. White interrupted his career with service in World War II in the U.S. Merchant Marine. What he did with his life from then on is truly legendary. Dean White was nominated by Calvin Bellamy.